This is one of the few vintage Signet editions left from my family’s book collection. It reminds me of my Uncle Lawrence. RIP. He talked a lot about Claude Brown and this book. I’m due for a reread of Manchild in the Promised Land. I read it the year I graduated from high school and was completely blown away by it. I then understood a lot better some of the things my uncle was always talking about. Poignant and inspiring with plenty of lessons to be learned by all, it’s a must read! 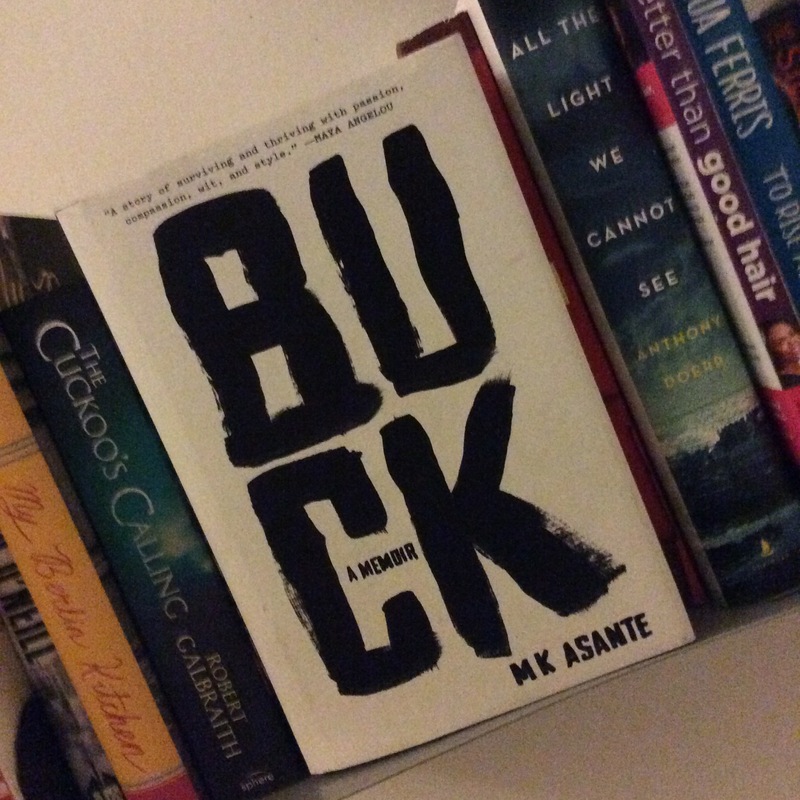 introducing something new that might spark your interest in African-American memoirs, I’m recommending Buck: A memoir by MK Asante. He writes his story with a lot of passion and lyricism. It’s like reading music. If you’re interested in reading how someone who was spiralling downward manages to take control of his life through his discovery of art, music, and the desire to create, you should check this one out. It is remarkable and talented with a hip-hop flair.